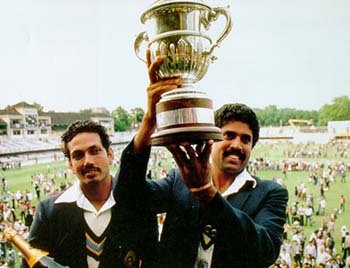 India’s world cup winning former Indian cricket captain Kapil Dev has admired the International Cricket Council (ICC) that they made perfect choice by selecting batting maestro Sachin Tendulkar as its brand ambassador for the 2011 world cup. “I am thankful to ICC for naming Tendulkar as the brand ambassador of the World Cup. I am happy they did not pick any film star, singer or a politician to be their brand ambassador. It is a very great feeling to see your colleague as the brand ambassador for a game which is so fantastic,” the Gulf News quoted Kapil Dev, as saying. “Everyone has to be proud of this man not because of his performance, but by the way he has played the game for over 20 years. He is truly the greatest sportsman of the era,” Kapil said.